Kids love to paint and we love to display their work. 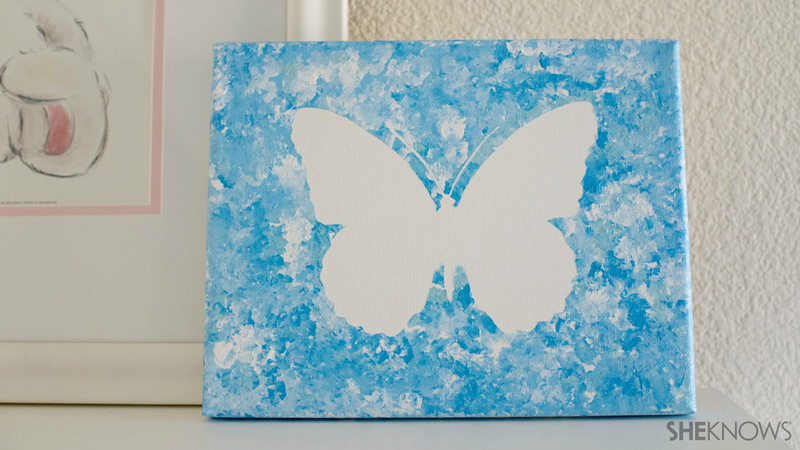 Why not give them some grown up canvases, some real paint and see what they can do with this personalized art project? 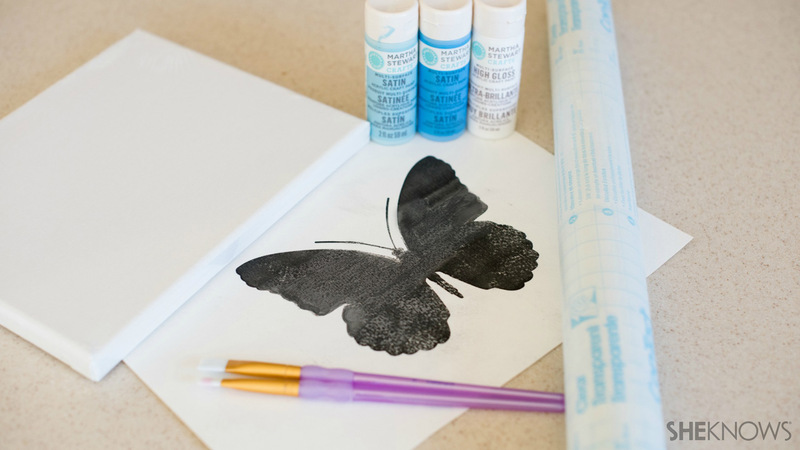 Have your child choose a letter or shape that she’d like to use as the template for this project. 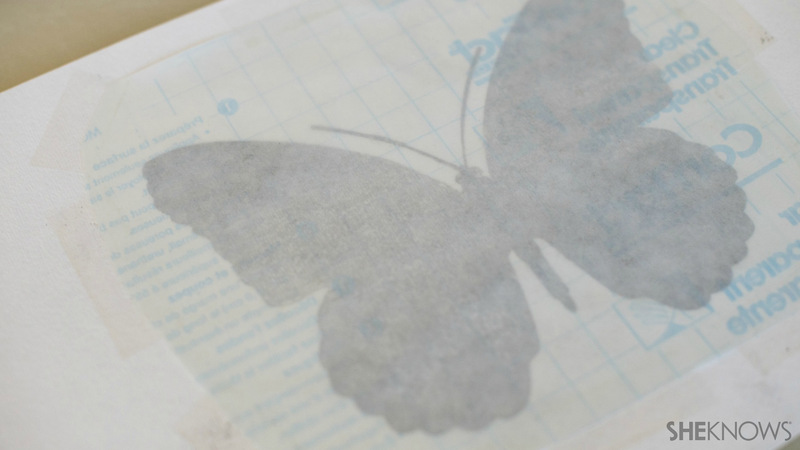 (We used a butterfly graphic that we found on PicMonkey.) Protect your work area completely. 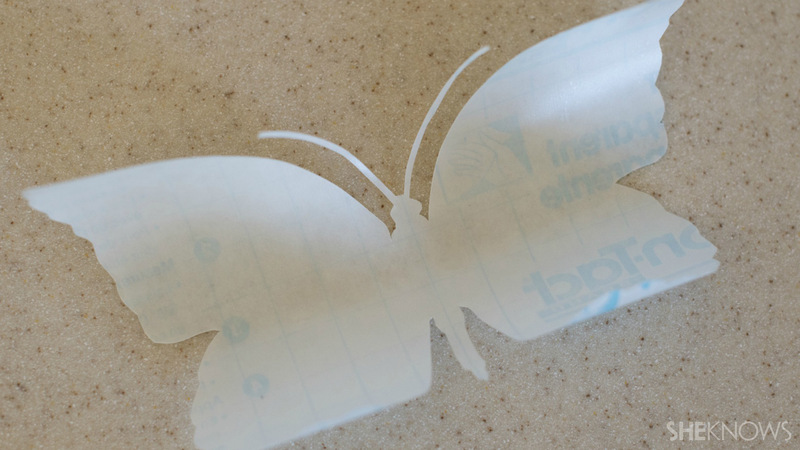 Place the template beneath the adhesive paper. Tape around the edges of the template to secure it in place. Peel the back off the adhesive and apply the sticky side of each letter or shape to the canvas as smoothly as possible. 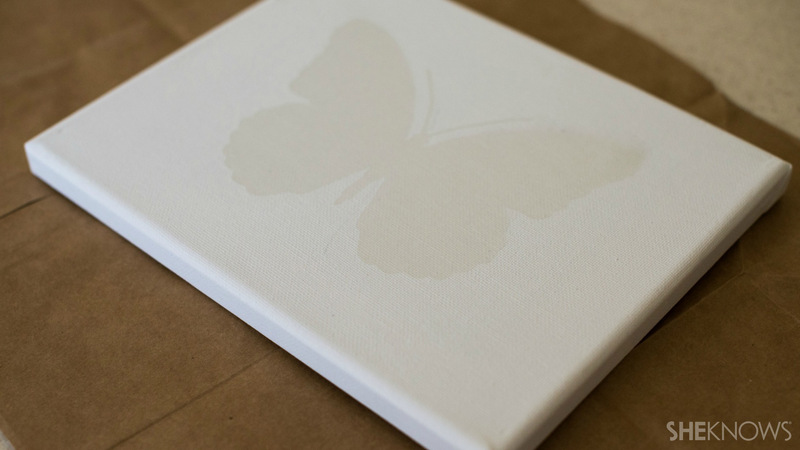 Place a book beneath your canvas to use as a hard surface so that you can smooth your letter or shape onto the canvas. 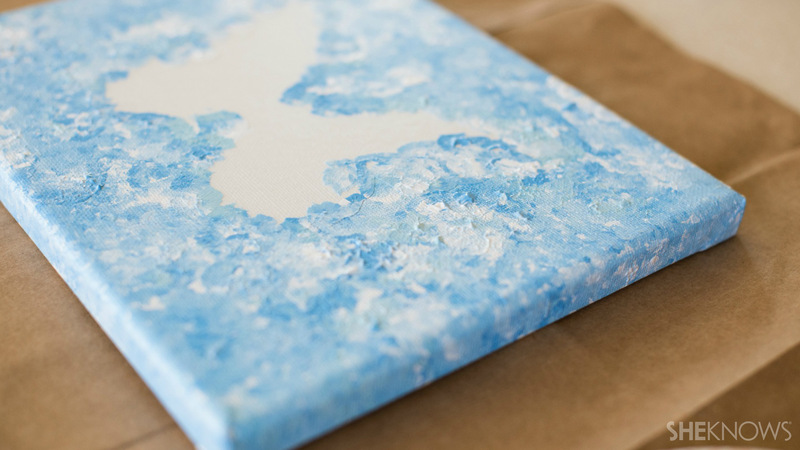 (Otherwise, you could stretch the canvas by putting too much pressure on it without support it from beneath.) 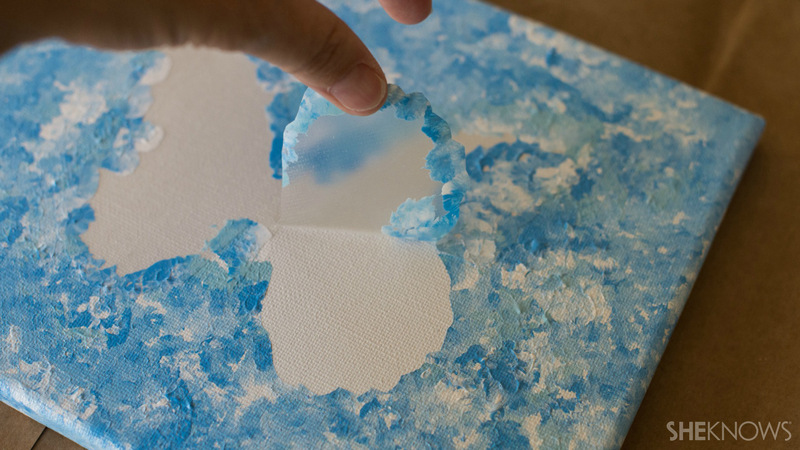 Use the back of your fingernail (or a wooden craft stick) to secure the edges of the shape onto the canvas to create as tight a seal as possible and prevent the paint from seeping beneath the adhesive paper. Put your paper plates on your work surface. Have your child go crazy with painting the canvas, using as many colors as she likes and in whatever pattern makes her happy. Allow paint to dry. Adult step: Using the tip of your utility knife, lift up the edge of your letter or shape and slowly and gently peel it off the canvas. 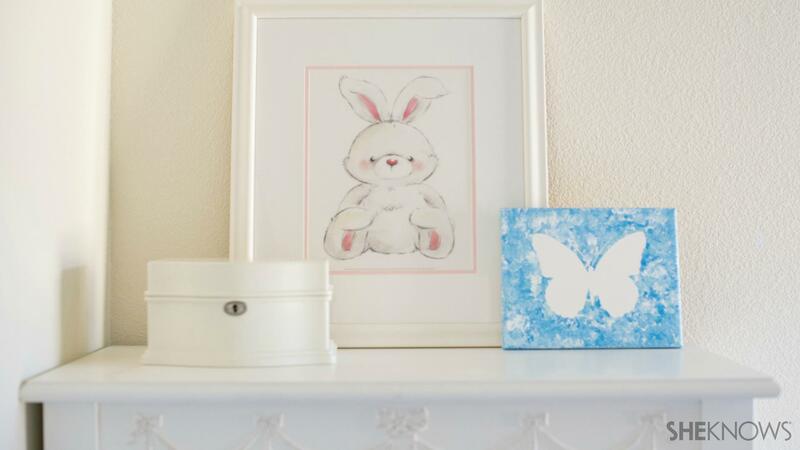 If necessary, use a small paintbrush and white paint to touch up any areas where the colored paint bled through. Hang on your wall and enjoy.